154 left in stock, Hurry! This colorful, drifting, mozying jellyfish makes for a quirky and energetic accessory. This 14g stainless steel belly button ring has a 3/8” long shaft and a 5mm top ball with external 1.6mm threading, making this piece most suitable for piercings that have already undergone the healing process. The belly button ring also has a fixed 8mm prong-set heart-shaped charm made of iridescent resin. 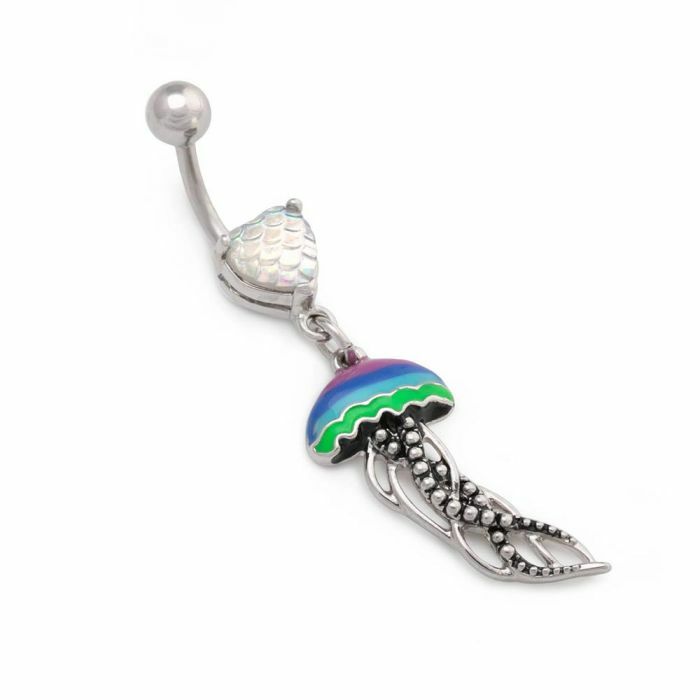 The piece also features a dangling jellyfish charm with multi-colored enamel accents. 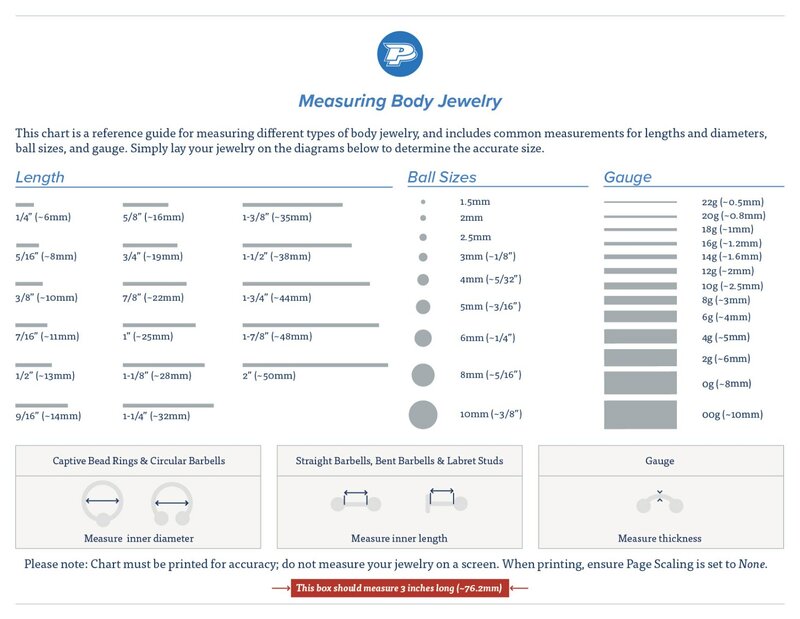 The charm measures 21.6mm long by 11.8mm wide.